History of our plantations dates back to 1959! Agroimpex Nova is the leading company in Bosnia and Herzegovina when it comes to apple and pear production. The plantations of our company are spread over 700 ha of surface, the 350 ha are planted, and apple and pear are predominant. From other cultures we cultivate peach, plum and cherry. Our plantations are located at the foothills of Kozara, at the altitude of 150-300m, and they have very good weather conditions throught the year. Almost 30 years of successful business. In order to improve the production and following global trends, we have established cooperation with numerous experts from Italy, the Netherlands, Germany, Slovenia, Croatia and Serbia. Agroimpex Nova d.o.o. was founded in the 1990. The main activity of the company is the production and sale of fruit as well as the production of planting materials. 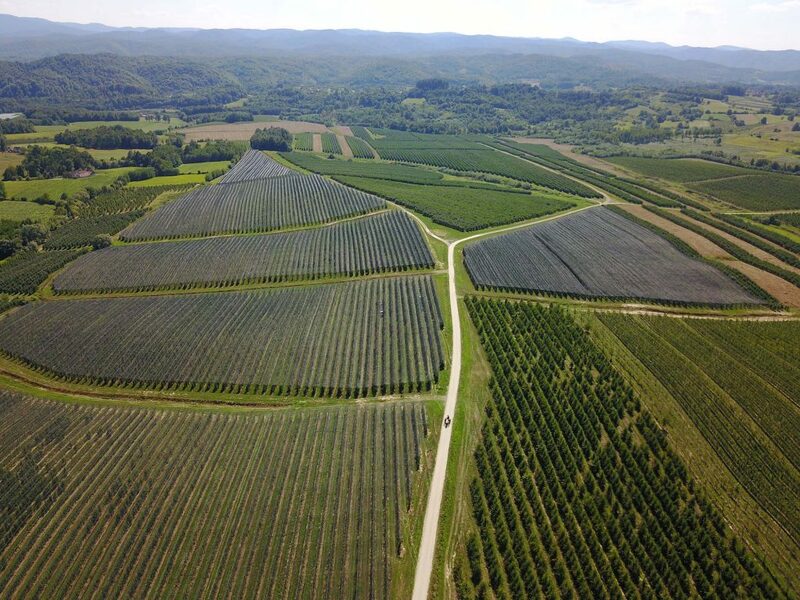 The history of these plantations dates back to 1959, when ,,Plantaže’’ was founded in the municipality of Gradiska. Agroimpex Nova d.o.o. was founded in the 1990. The main activity of the company is the production and sale of fruit as well as the production of planting materials. 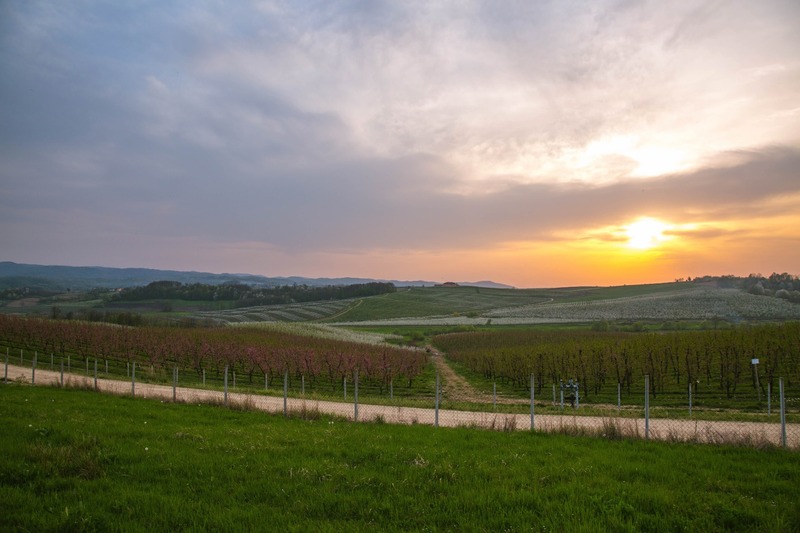 The history of these plantations dates back to 1959, when ,,Plantaze’’ was founded in the municipality of Gradiska. The history of these plantations dates back to 1959, when ,,Plantaza’’ was founded in the municipality of Gradiska. The establishment of our company was carried out in 1990. We have made a major reorganization of business in line with the current world trends. First entry into European market by exporting apples, pears, peaches and plums. Our production is based on the intensive production with high density planting on the weak vigorous rootstock. In addition to the native soil that provides excellent fruit quality, we have protected the fruits with an anti-hail net and anti-frost system. In order to ensure the highest quality products, we have provided coverage of almost entire orchards with a drop by drop system, which is one of the main preconditions for intensive fruit production. The quality of our fruits is confirmed by Global G.A.P. certificate. © 2018, Agroimpex Nova. All rights reserved.